Positive affirmations were God's idea. 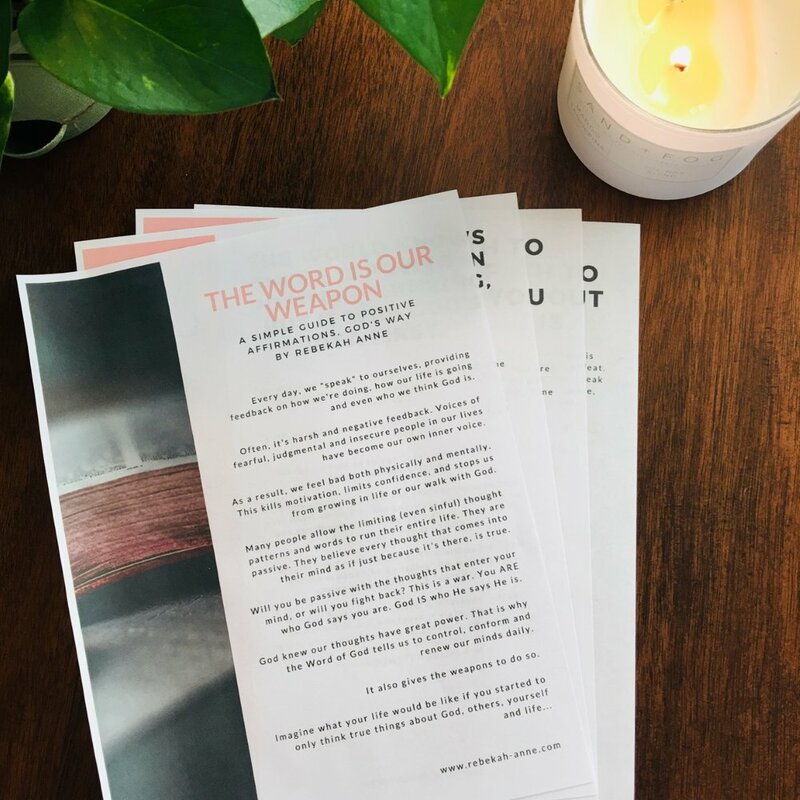 Please enjoy this free copy of Rebekah’s 4-page guide, “The Word is Our Weapon,” created to help women with the first stages of taking their thoughts captive, and making them obedient to truth. We hate spam. Subscribers receive one email per month. We respect your privacy.